Boston has been called “The Hub of the Universe,” borrowed loosely from a phrase uttered by Oliver Wendell Holmes in 1858. Now, it’s often just called “the Hub” because it’s the economic and cultural “hub” of Massachusetts and New England. Boston is a vibrant and manageable city, known for its world-class educational and health care institutions, championship sports franchises, and abundant cultural opportunities. It also is a leading financial center and tourist mecca. First incorporated as a town in 1630 and as a city in 1822, Boston is one of America’s oldest cities, with a rich economic and social history. Today, it is home to more than 600,000 residents who live in more than 20 tightly knit neighborhoods. Boston’s Longwood Medical and Academic area (LMA) is a dynamic community of medical, academic, research, and cultural organizations. Combined, these organizations are a powerful economic engine for Boston and Massachusetts. The LMA occupies more than 200 acres. It is located three miles from downtown Boston, nestled among three Boston neighborhoods (the Fenway, Mission Hill, and Audubon Circle) and the Town of Brookline. an international pharmaceutical research company. There were more than 100,000 inpatient admissions and 2.4 million outpatient visits to the LMA. Approximately 56 percent of all hospital-based outpatient clinical visits and 55 percent of all inpatient admissions in Boston were to LMA hospitals and clinics. LMA medical institutions accounted for more than half of all staffed beds in Boston hospitals and trauma centers, totaling 1,824 staffed beds. Founded in 1782, Harvard Medical School (HMS) is the third-oldest medical school in the U.S. Its three major flagship teaching hospitals are Brigham and Women’s Hospital, Massachusetts General Hospital, and Beth Israel Deaconess Medical Center. HMS has produced thousands of leaders and compassionate caregivers who are shaping the fields of science and medicine. Faculty members have been achieving “firsts” since 1800, when HMS Professor Benjamin Waterhouse introduced the smallpox vaccine to the U.S. Researchers’ accomplishments are recognized internationally; 15 researchers have shared in nine Nobel prizes for work completed while at HMS. With its vast reservoir of talent, extensive network of affiliates, and commitment to problem solving, HMS is uniquely positioned to steer education and research in directions that will benefit local, national, and global communities. 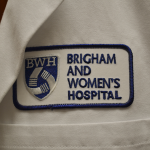 Brigham and Women’s Hospital (BWH), a 793-bed teaching affiliate of Harvard Medical School, is recognized internationally for its excellence and innovation in patient care, biomedical research, and education and training programs for physicians, scientists, and health care professionals. In addition, BWH is committed to health equity and reducing disparities locally and through its numerous global health programs. Consistently ranked as one of America’s Best Hospitals by U.S. News & World Report, BWH is recognized for its expertise in heart and vascular care, cancer care, orthopedic and arthritis treatment, neurologic and neurosurgical care, women’s health, and virtually every other area of adult medicine. BWH is the second-largest NIH-funded hospital in the country, and has been home to pioneering studies and many firsts, including organ transplantation and mitral valve surgery. 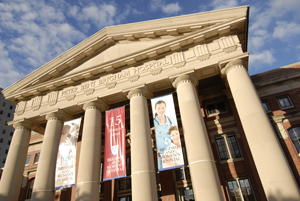 Established in 1988, the Division of Thoracic Surgery at Brigham and Women’s Hospital (BWH) was the first academic training program in the U.S. solely dedicated to the care of patients with non-cardiac thoracic diseases. With the establishment of this division, BWH made a substantial commitment to growth in all areas of clinical thoracic surgery. 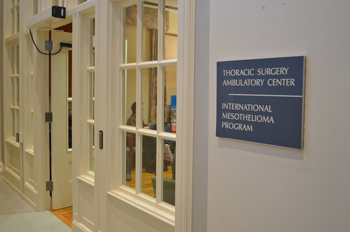 The hospital’s commitment to thoracic disease is reflected in the evolution of specialized clinics or programs, including the International Mesothelioma Program. Other programs focus on chronic pulmonary disease, end-stage lung disease, and lung cancer. All patients have access to a team of experts from many fields, including specialists from surgery, medical oncology, pulmonary medicine, radiation oncology, and radiology. The Division offers innovative or minimally invasive surgical treatments as well as traditional surgical procedures. All surgeons are staff members at BWH and the Dana-Farber Cancer Institute (DFCI). The Thoracic Surgery Care Unit at Brigham and Women’s Hospital (BWH) is home base for mesothelioma patients and their families. Located on the 11th and part of the 12th floors of the BWH towers, the unit is known for excellent clinical staff and compassionate support staff. Nurses are the backbone of our unit. They are specially trained in caring for patients with mesothelioma. They have an in-depth understanding of all aspects of mesothelioma treatment and recovery. And they know what patients can expect at every stage of their care. our patient navigator helps patients and families solve practical problems in the health care system. The physician team is led by an attending intensivist, who works closely with a patient’s attending surgeon to coordinate care. 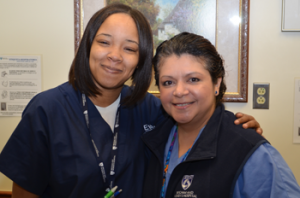 The unit also has a dedicated nutritionist, respiratory therapist, physical therapist, and care coordinators. The unit also contains a special waiting area. Here, patients and families can gather prior to family meetings with the IMP health care team or where families can wait to receive accurate and timely communication from staff. Additional support is available through weekly support groups held in the unit. Located at 48 Francis Street just across the street from the main entrance of Brigham and Women’s Hospital (BWH), the Thornton House is a home away from home for many mesothelioma patients and their caregivers. 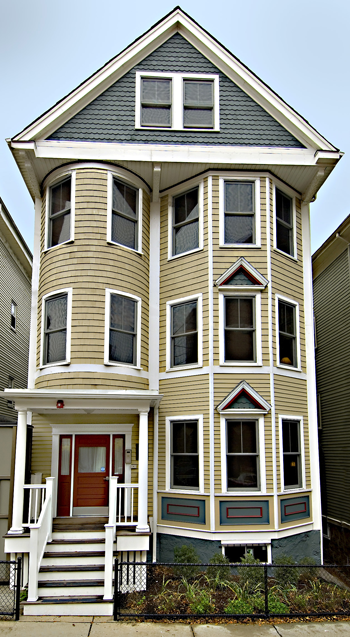 This Victorian-era “triple-decker” (a style of architecture common in the Boston area) was already owned by Brigham and Women’s Hospital. It was renovated to accommodate mesothelioma patients and families and opened in 2008. 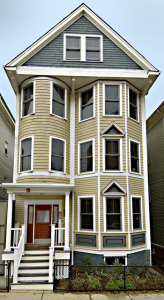 The renovation was made possible through a gift by the Boston law firm of Thornton Law Firm, LLP. Each 1,100-square-foot level of the centrally air-conditioned house can accommodate up to three families at a time, one family per room. a laundry room with washer, dryer, iron, and ironing board.